Want to give photography a try without spending a lot of money? 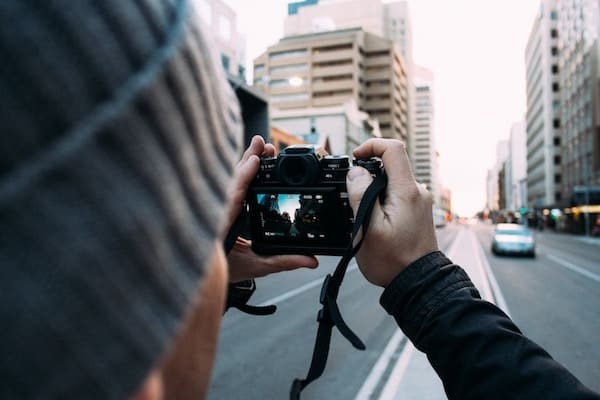 Below is the list of the 9 best cheap digital cameras under $500 for 2019 that will allow you to get your feet wet in photography without breaking the bank. Some of these compacts are super inexpensive. Just because they are cheap, doesn’t mean they aren’t good. Whatever your budget is, this guide should help you choose the best personal camera for your needs at an affordable price. 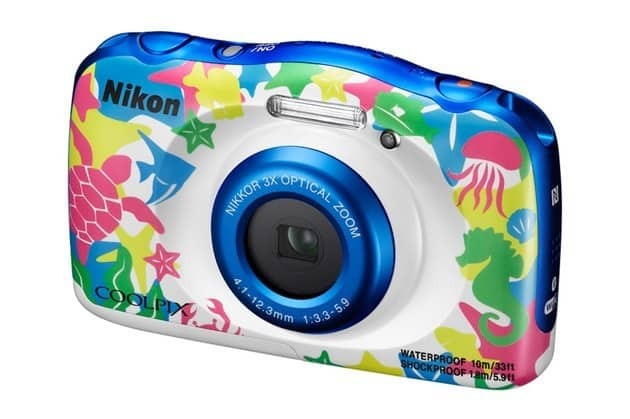 Nikon COOLPIX W100 – Awesome family camera for vacations (with kids). 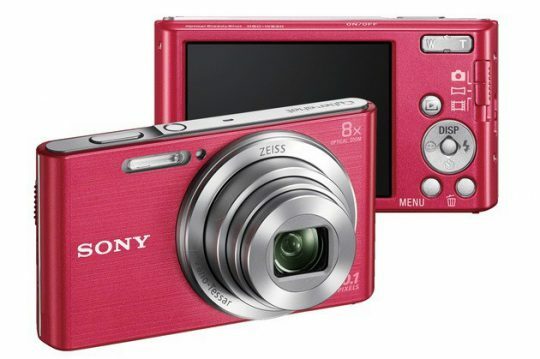 Sony DSC-W830 – Best point-and-shoot camera under $200. Canon SX610 HS – A kind of Swiss knife in the world of cheap digital cameras. Canon EOS Rebel T5 – Simple, budget compact DSLR to get your “feet wet”. 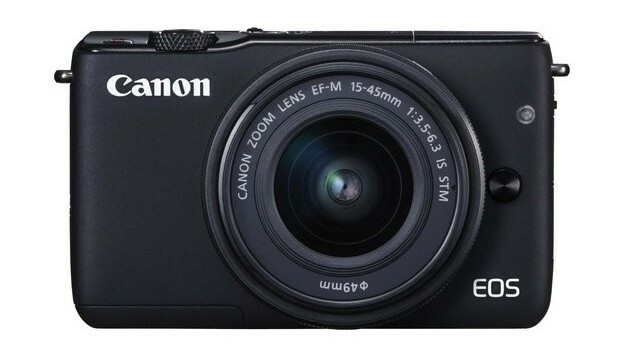 Canon EOS M10 – Good cheap mirrorless camera (for travellers & vloggers). 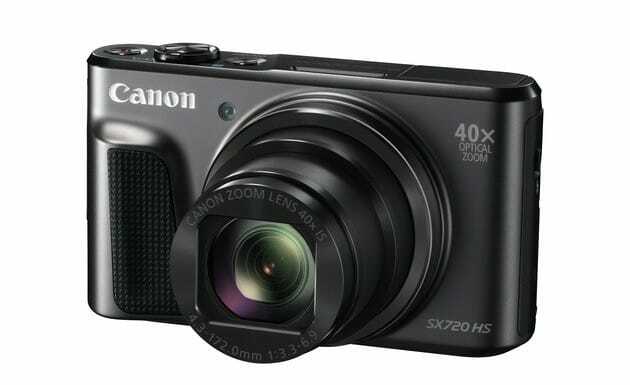 Canon PowerShot SX720 HS – Awesome compact camera with 40x zoom. 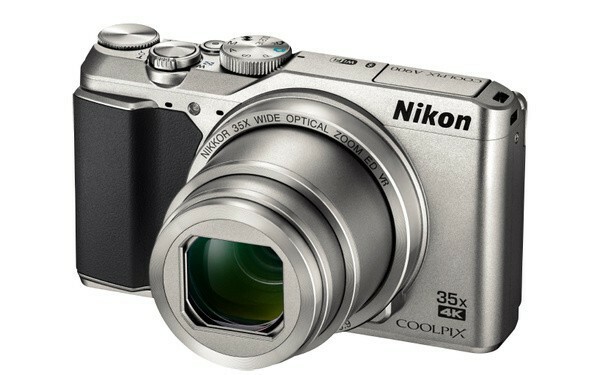 Nikon COOLPIX A900 – Great 4K camera under $500 for everyday use. Olympus Tough TG-870 – Best durable compact for extreme shooting conditions. Nikon D3400 – The best entry-level digital camera for beginners in 2019. I decided to offer you a few interesting cameras and divided them into two categories by price point. 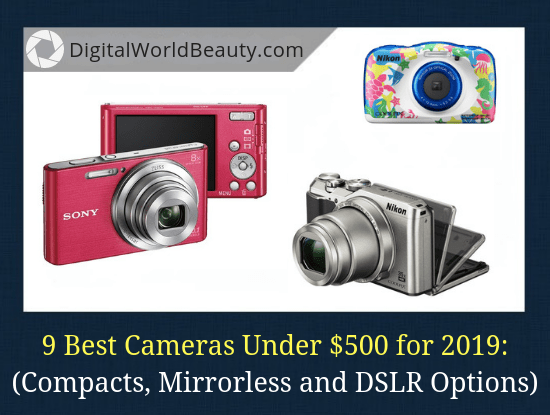 The first segment examines the most affordable price range: the best digital cameras under $200. And before we start to review specific cameras, let’s look at their capabilities in general. You shouldn’t expect miracles from from cameras of this price range. Cameras under $200 are often point-and-shoot cameras, that is, they have a minimum of manual settings and “creative” modes. Typically, they do not have very fast lenses or long zooms. The sensor is small, and, as a rule is a CCD one (but we were able to pick up models with CMOS sensors!). Full HD shooting with these cameras is even more a rarity. Here, too, I found cameras that can provide good video quality. Thanks to the availability of Wi-Fi and NFC in some camera models, transferring pictures to a smartphone, and wireless printing, have become very simple and quick. The image quality and camera’s overall capabilities even of this price range surpass the majority of smartphones of this same price range. 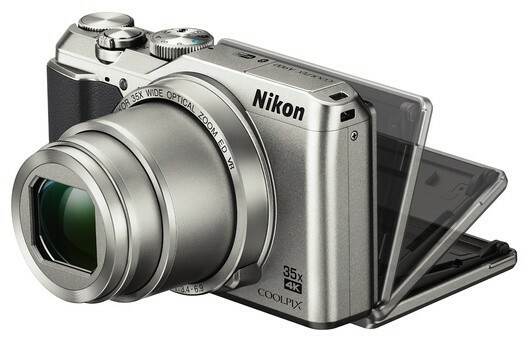 I think Nikon Coolpix W100 is one of the best Nikon compact cameras. … And, therefore, works great for family vacations. The design of the control system resembles a pocket game console. The buttons on the Nikon Coolpix W100 are large and comfortable. This camera has children’s and adult menu. The children’s menu allows your kids to take pictures in a game form, with animated characters on the screen, and they can put colorful stamps on already-taken shots. There are different colors available of the body of this camera. The most original is with a bright drawing of marine subjects on a white background. And, as already has been mentioned before… In addition to an interesting bright design, the body of this camera is shockproof and waterproof. …. while retaining all its technical capabilities. When you turn on the camera, on the screen you will see “waterproofing precautions” greeting. It will guide you through that water doesn’t get into the camera when you’re using it underwater or in bad weather conditions. The battery compartment requires a two-step unlocking process so that you don’t accidentally open it underwater, or when anything else that may get inside your battery compartment. The image quality of the Nikon Coolpix W100 is quite decent for its price category. It is equipped with a 3x NIKKOR zoom lens with the option of electronic magnification up to 6x, and a CMOS sensor with a resolution of 13.2 million pixels. This is quite enough to make sure you captured any important event in your life in good quality. Shooting in Full HD format with stereo sound is a definite plus of this camera! This camera has an HDMI output, which means you can view your captures images and videos on the big screen. However, Nikon’s SnapBridge App provides a better opportunity. With this application, available for Android and iOS devices, your camera automatically syncs with various mobile devices. Wi-Fi connection allows you to view pictures and manage the camera in real time. And thanks to Bluetooth, pictures can automatically get transferred to your smartphone as they are taken, consuming a small amount of battery power. The process of setting your smartphone with your camera is simple and is only done once as the camera automatically detects a previously connected device on all subsequent occasions. The cost of Nikon Coolpix W100 is less than $200 so don’t expect the same level of a camera for $1,000. And still it offers decent image quality. The gadget implies that you will be able to shoot in those conditions where other cameras simply give up. For those who love adrenaline and extreme travel, this camera is gorgeous. The main advantage of the Sony Cyber-shot DSC-W830 is its compactness. It is slightly more than a credit card with a thickness of 22.5 mm and a weight of 120 g together with a battery. A metallic, rigid body with graceful bends makes the Sony Cyber-shot DSC-W830 an attractive detail of your image. 8x optical ZEISS zoom lens and 20.1-megapixel sensor, manufactured using CCD technology, are responsible for the image quality. The zoom level with a focal length of 25-200 mm allows you to deal with any shooting task. You can shoot both landscapes or narrow streets, and other things on a larger scale. The advantage of this model is the built-in optical image stabilizer Optical SteadyShot. Basically it allows you to take sharp pictures in low light conditions, which is especially important for the point-and-shooters of this price range. With Sony Cyber-shot DSC-W830 you can shoot in Auto mode. You press the button – and the camera does everything for you. However, there is no need to give absolutely everything to the camera. You can edit the pictures directly on the camera screen using the Beauty Effects function. For panoramic shooting, a special button is provided on the rear panel of the camera, and for shooting video in HD resolution. At the same time, the quality of images will far exceed the quality of photos from a “typical” cell phone in the same price range. suitable for basic photography needs. You have an excellent opportunity to diversify your Instagram, blog or any other social network page with beautiful pictures made by Canon PowerShot SX610 HS. It has a 18x optical zoom lens with equivalent focal lengths of 25-450 mm. The wide-angle position of the lens allows you to shoot breathtaking landscapes and group portraits alike. The ZoomPlus function enhances the zoom capability by twice as much, without serious loss in image quality. Also, Canon PowerShot SX610 HS has an optical image stabilizer, which promises less blurry images made in low-light conditions. This is important for a lens with a large zoom level. And thanks to a modern CMOS sensor with a resolution of 20.2 million pixels, high-quality images can be captured in the evening time and indoors. 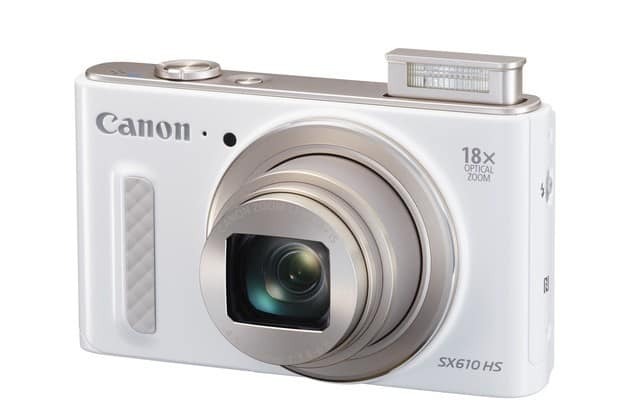 Canon PowerShot SX610 HS is compact enough and weighs approximately 191 grams. At the same time, this Canon camera is able to record video in full high-quality (1920 x 1080 with a frequency up to 30 frames/s). This camera both fully auto and program mode of operation. In addition to automatic and program modes, the camera menu has a hybrid auto mode and a creative auto mode. In the hybrid mode it produces small video clips, which are then automatically pasted into one large video clip. And at the end of the day, in addition to photos, you can see an interesting video digest of your adventures. In the creative auto mode, after pressing the shutter, the camera automatically selects and applies special creative filters to the finished image. Both of these modes will appeal to creative photographers, who like creating extraordinary photos and videos. The shots that you took can later be viewed on a smartphone or a tablet, which then can be downloaded online or stored in the internal memory of the device using Wi-Fi and NFC. And if you install the Canon Camera Connect application on your gadget, you can also remotely control the camera. Canon PowerShot SX610 HS has a lot of great features to share despite it being around $200. This Canon camera is a kind of Swiss knife in the world of cameras for a price not more expensive than a cheap smartphone. This point-and-shooter definitely is worth considering as your next compact camera for 2019. Up to this point we were discussing the best cameras that are selling for under or approximately $200 on Amazon. Now, I will talk about a few great cameras that are more than $200 but less than $500. In this segment, in addition to compact cameras, we will also see some DSLR and mirrorless digital cameras. Therefore, you can choose a camera not only for casual photography, but also for creative work in art photography. Many of the following models are capable of making high-quality video too. The 6 best cheap digital cameras under $500. Canon EOS Rebel T5, (which goes by the name of Canon EOS 1200D in other parts of the world), is one of the most affordable SLR cameras. (I personally would go for Rebel T6i entry-level DSLR but if you want it cheap and just get your feet wet, Rebel T5 is also a good deal). It certainly is not a new thing on the market, but if you have already outgrown your point-and-shoot camera and want something more than blurry pictures in the “auto” mode, then you definitely should pay attention to it. Rebel T5 is the continuation of the most budgetary branch of Canon SLR cameras. It must be noted, however, that “budgetary” doesn’t mean bad camera or low-quality images. This camera has everything you need to make good-quality images (with a 18 MP resolution). The most important thing that you need to know about your camera is that you have a decent sensor, the same as on more expensive models, like 700D, which means that the quality pictures will be as equally great. Since the sensor is identical to the previous model, there are no kinks with noises at high ISO. It produces a completely clean picture on ISO 6400, just like 700D. In Canon Rebel T5, 9 points for auto-focus are available, which is more than enough for all occasions. And for beginners, a few areas of auto-focus – on the contrary, is an advantage. It’s easier to figure out what you’ve focused on and if necessary, you can switch faster. The Live View mode works just fine, focuses very accurately, even in poor lighting, albeit slowly enough. Canon EOS Rebel T5 Is A Great Digital Camera for Beginners – Small, Simple and Under $500! Canon EOS Rebel T5 is a good simple SLR option for amateur photographers. Photos taken with this camera will not differ much from pictures taken on more expensive camera models, so if you don’t care about a display with lower resolution, then you can safely get this camera for yourself. This is probably one of the best compact DSLR cameras under $500 on the market right now. Canon EOS M10 is one of the best mirrorless entry-level cameras under $500. The manufacturer promises a combination of high-quality images and practical compact design. Overall, from first sight it becomes obvious that the camera is not designed for professional photography. Its plastic body and almost no buttons or mode dials on it. It looks like the manufacturer was counting on the fact that the target audience will be shooting mainly in the numerous auto scene modes. This is good for a beginner, but unattractive for advanced photographers. A touch screen is provided if you want to manually configure the Canon EOS M10. The display is large enough and shows good sharpness, which is convenient for preliminary evaluation of the shot taken. In addition, the tilting screen makes it possible to take a selfie. The burst speed is 4.6 frames per second thanks to which you can record full HD video, with the ability to overlay various creative effects. This camera has Wi-Fi, which means that storing and moving pictures and videos from the camera to cloud services, including Canon Irista, has become very easy. The dynamic NFC function, which is missing from the flagship Canon EOS M3, makes it simple. Overall, Canon EOS M10 is a camera which should provide decent image quality and which is on the same level as the SLR camera. It is compact, light, and it has a high resolution touch screen that offers full control over the camera and in some way compensates for the lack of a viewfinder. I would say it is an excellent camera both for beginners and for enthusiast photographers on a low budget. It is also an advanced camera suitable for travelers and vloggers who want to have the high quality images. For the first time a compact camera with a 40x zoom. The lens of the new model cover focal lengths from 24 to 960 mm in film equivalent, and, therefore, is able to capture the most distant objects. Until this time, those who wanted a camera with a zoom more than 30x, had to acquire (much larger) bridge cameras. Not the case with SX720. This point-and-shooter is quite compact and super convenient – it has 270 g of weight and a size of about a pack of playing cards, therefore will be able to fit in pockets of any pants. The Canon PowerShot SX720 HS camera showed itself well in terms of speed. Of course, with the maximum zoom autofocus doesn’t always work instantly, but still almost always fast. This being said, it’s pretty suitable for snapshots. Great work was done on continuous shooting: the truth is still because of the speed of shooting – just over six frames per second, the camera lags behind its competitors. However, whoever agrees to accept some of the minor drawbacks, will have acquired a rather thoroughly completed compact camera. Canon PowerShot SX720 HS can get you perfect shots that you can later impress your friends with. The quality of the images that this camera can take is pretty amazing. Even though this camera is not new on the market, the camera is still worth getting. However, if you are a vlogger then because this camera does not have a flip-up display, I’d suggest you get a newer SX version, or a Canon G7 X. Other than that, besides the flip-up screen there are not too many other compromises with the newer Canon products, yet you can get this camera cheaper. Nikon Coolpix A900 is a compact camera with a large zoom and the ability to record video in 4K format. A900 model looks like a typical point-and-shoot camera and it uses a very modest 1/2.3″ sensor. However, it can be quite large if compared with mass video cameras of a similar price. With the modest sensor in the compact body, it was possible to accommodate a 35x optical zoom. Among the features – having control using a smartphone via Bluetooth and recording a 4K-video. The Nikon A900 features a three-inch tilting screen with a resolution of 920 thousand pixels, which can be rotated 180 degrees to take a selfie. Generally talking, this camera is quite standard. Exposure can reach a value of 8 to 1/4000 seconds. The ISO sensitivity expands to 3200, which is not very impressive compared to full-frame cameras, but it is quite enough for ordinary life photography. It is equipped with wireless functions, through which you can remotely control the camera using a smartphone or tablet, as well as download pictures and immediately send them to the Internet using the built-in features of the proprietary SnapBridge program. Thanks to the 35x optical zoom, the compact Nikon Coolpix A900 offers much more features than any smartphone camera – perhaps it is its main advantage. The Nikon A900 camera is very easy to use, with full manual control for those who need advanced capabilities. Although there are not so many compact cameras these days (mainly because of smartphones), the A900 is still worth the try. It’s bad that shooting in RAW format is not available, and the screen is not touch-sensitive, but it’s still an excellent camera for beginner photographers and travelers. Without a doubt, TG-870 is one of the best tough cameras out there. This ultracompact continues the tradition of the Olympus Tough cameras being a high-performance durable camera designed for use in extreme conditions. is freezeproof to -10 ° C.
If you look at different cameras of all brands, you will know that they all represent a kind of compromise between image quality and compactness, most often with limitations here or there. If you are looking for a compact camera with excellent image quality and extensive photo processing capabilities – then the TG-870 and similar point-and-shoot cameras are not for you. Nevertheless, this camera is ideal for shooting under such extreme conditions in which other devices simply would never survive. This camera uses BSI-CMOS sensor. The lens has a 5x zoom range, with a wide angle of 21-105mm, which is the widest among compact cameras of this class. The manufacturer explains that this zoom “makes it easy to capture the whole scene, especially with group selfies”. The aperture of the lens is F/3.5-5.7. Among other features, the Olympus Tough TG-870 has a tilting 180 degree upward screen with a resolution of 921,000 points, a programmable front panel button, 13 Art Filters processing filters, high-speed video recording, time-lapse shooting. You will also enjoy the presence of built-in GPS and Wi-Fi, which makes taking selfies, for example, a lot easier. Generally speaking, the smartphone camera could definitely work for everyday use. You can’t dive with your smartphone 15 meters under the water just for the sake of taking a selfie, and even more you shouldn’t drop your smartphone when climbing a mountain. And that’s why there is still a demand for compact cameras that can withstand extreme shooting in difficult conditions, like the Olympus Stylus Tough TG-870. Nikon D3400 is a great camera not only because it’s under the $500 price tag but also for beginner photographers​. Compared to its predecessor, this camera has a much more powerful processor, slightly modified the viewfinder, and an increased rate of continuous shooting. There is support for recording Full HD video in 50p-60p mode which is a kind of breakthrough for a segment of budget-funded mirror-type cameras. 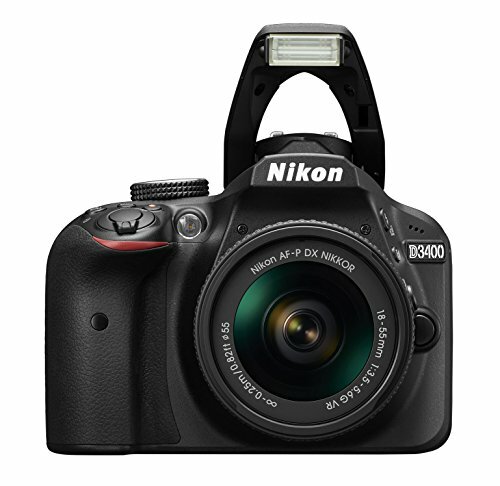 Nikon D3400 has an exceptionally good body structure, as well as a lightweight design, the weight of which is 445 grams with batteries included. ​Note that this camera has ​Guide Mode​, which provides great set of tips in a very practical way. Basically you learn photography as you go. Many amateur photographers notice the almost full adaptation of the camera to the hands of non-professionals, especially in terms of getting beautiful photographs “out of nothing”. This effect is achieved due to good color rendition and numerous shooting modes. There is noise at low ISO values as well as little memory buffer but keep in mind that you still get quality images, especially given the low price that you pay for it. This camera is good both for beginners and for those who don’t want to spend too much money on expensive cameras. Nikon D3400 is the simplest budget SLR camera for beginners. It is able to create surprisingly beautiful pictures, and the excellent characteristics of the device helped it to occupy an honorable place in my top-10 list of the best digital cameras under $500 (for beginners). We explored the best cheap cameras on the market to help ensure that you’re able to make an informed choice. So… which camera to choose? If you don’t plan to invest in a more advanced gear later, I suggest you check out my list of top rated compact cameras. However, if in the future you see yourself as a professional photographer, you should take a closer look at compact SLRs presented in this collection. What was your favourite cheap digital camera from this list? Do you prefer point-and-shooters, mirrorless or DSLR cameras? Now, if you still have doubts, questions or comments about these compact cameras under $500, let me know in the comment section below! Your post is so detailed and I’m glad there are a lot of affordable choices here. I wonder if there are good digital cameras with a vintage kind of design? One of my friends had one and I looks really awesome! Which entry-level SLR camera would you advise for me? I want a camera for shooting a family, home, travel – and I need a good quality camera, but not very expensive. I don’t really care about video as much. Vintage kind of design camera… Honestly, I know what you are trying to say and I can’t remember exactly which camera had that. I think Fujifilm makes such cameras. In terms of your second question – I think any mirrorless or SLR camera will suit your photography needs. Personally, I like the entry-level SLRs like the Nikon D3300 – it is lightweight, compact, shoots well in auto mode and has a durable battery. Actually, I might have to add to my list of best digital cameras under $500 as Nikon D3300 costs less than $500. I know you sectioned off all cameras but one do you think gives you the most value for money, like are there £500 ones that offer more in return for their cost than the ones under £200 even though they are more expensive? I’m currently running a food blog and I’m thinking about taking pictures of my recipes, so I’d rather get a good value camera than the cheapest one. Of course, the cheaper is the camera the less functions/quality it has. I am just aware that not many people are 1) with a big budget and 2) need super-pro camera when they simply need a point-and-shoot camera for easy, every day use. In your case, if you have a big budget, you may want to buy a more expensive model. Given that you run a food blog, it makes sense to buy a good, quality camera that will capture all the colours and the beauty of food. In fact, a week ago I wrote a post on the best cameras for 2018 as has been voted by EISA members. Hello there! I read your article and I found it very informative and helpful. I read your review about the canon t5. I found out that there’s canon t6 now. How does the t5 compare to t6? Is dslr cameras better than mirror less camera or vice versa? I really appreciate your response. Hi John, thank you for your kind words. In terms of Canon T5 vs. Canon T6. They both have 9-point autofocus, weight/size and battery life. Both of them have 18MP sensor however they have different image processor which affects the overall image quality (T6 will have a better image quality). I am not sure if this is something that you’d find super important but the display in T6 is better (has more pixels). ISO in T6 is better meaning that there will be less noise at high ISO values. Overall, the cameras are pretty similar with the exception that T6 is slightly better. Now, the reason why I included T5 in this list of the best cheap cameras in 2018, is because the price for T5 at the moment is around $400 then the price for T6 is slightly above $500. And as you can judge from my article, I only mentioned cameras that are under $500. As for mirrorless camera vs DSLR. In mirrorless cameras, the process of getting the light to viewfinder no longer requires having the flip-up mirror and that’s why a new category of cameras is now called “mirrorless”. You may not know this but your smartphone is mirrorless (all smartphones are). And so are most point-and-shoot cameras. Generally talking, mirrorless do have some advantages over DSLR cameras, but they have drawbacks as well for example lower batter life or their focusing systems. Otherwise, they are great in a sense that they are lighter and smaller in size. Also, they have an accurate image preview in the viewfinder. Can you tell me, of all the options you mention here, which one will you recommend? Even though this post contains cameras for beginners and are mostly compact and easy to use, I wouldn’t recommend those because they’re not the vlogging cameras. Not to mention image stabilization and having the wide angle lens if you are walking or taking a video of self. 1) Canon Powershot ELPH 300 HS (I believe it’s less than $250) – you can read specs and details about Canon 300 HS by clicking here. 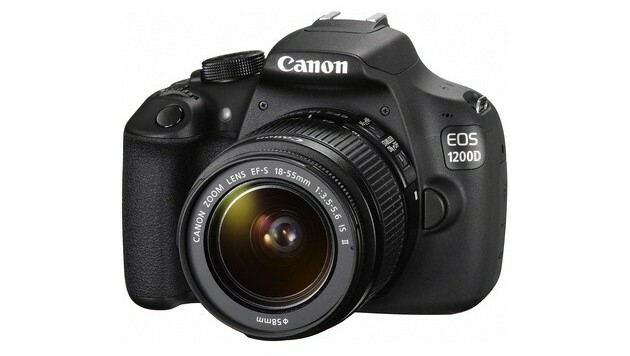 2) An alternative to 300 HS is Canon S120 – cheap, easy to use, wide angle, and definitely is good for vlogging. 3) Sony RX100 Mark V – but you III and IV should be fine too. 4) Sony a6000 is good for beginners and it’s pretty compact for vlogging too. 5) Also there are small, I’d say even tiny, GoPro cameras that are good for vlogging too as they have wide angle (and of course they are light). Check out the Hero5 version. It’s under $500 too. Have a look at those on Amazon and see if you like any of these options for your YouTube channel 🙂 If you end up buying something, let me know if you like it! Also, thanks for asking such a great question – I will create a blog post about this topic soon. I loved this thorough review, nice job! For the longest time I believed iPhone cameras were enough to pass for websites but have recently realized that is not the case. I’m looking for a more advanced camera, at a higher price tag is fine by me – what’s the best camera under $1000? What would you recommend in my case? Thanks in advance! Hey Arian, no problem, happy to help. If you are looking for a better camera with a higher price tag, I recommend checking out either the best Canon cameras (if you are a Canoner) or the best cameras for 2018 (in general), which were official EISA Award winners. You mentioned you want a good camera but I wasn’t given enough information on what exactly you plan to do – is it for taking random images for your blog, or do you need a camera for vlogging? Or what level you are when it comes to photography (I’d assume you are a beginner/amateur based on your comment). If so, might also want to check out this post on my top 10 list of the best digital cameras for beginners. I hope I could help nonetheless. I have never really owned a personal camera mainly because I have a smartphone that can already, you know, take pictures but I have recently been thinking of getting one because I felt like making a youtube vlogging channel. I got interested in Nikon A900. How does it shoot in a room under electric light without a flash? I don’t know much about cameras but your guide to cheap digital cameras under $500 is definitely useful to me as I don’t wish to spend so much on camera while just starting out. It’s crazy how many people want to start a YouTube channel – I keep getting questions about best cheap vlogging cameras over and over again. First, let me address your question – here everything depends on the settings you set and the shooting conditions. In general, Nikon A900 has a small matrix/sensor, so you will encounter problems. You don’t want this camera. Second thing. The cameras I mentioned in this post may be cheap but not all of them are suited as a good vlogging camera for many reasons. In one of the comments above, I already answered someone else’s question about a camera for YouTube channel but I plan to publish a separate article specifically on the topic of best vlogging cameras for 2018. Stay tuned! I’m in the market for a cheap digital camera for beginners and came across your website. I am looking to buy my first DSLR and potentially develop myself in the photography as a professional in the future. Ideally I would like to spend on a digital camera under $500, or between $500-$700 is fine too. Intuitively, I am leaning towards Nikon cameras. The choice is D3300 vs. D5500. If you suggest other good options for a beginner, I will consider them too. Within your budget, the D5300 is a very successful model! Yes, it is not the newest, but it sure is one of the best Nikon cameras in 2018 that you can get. It is especially a great camera option for beginners at an affordable price. Even despite the release of the next model in its line, this camera did not give up its position. In its arsenal is an articulated screen and wireless Wi-Fi and GPS, it has fast and tenacious autofocus, draws a sharp picture, does not make much noise even at high ISO values, and generally does everything that you require of it. So, yes, out of those two options that you’ve mentioned, absolutely go for Nikon D5300. In my opinion, this camera rightfully occupies a place among the best entry-level SLR cameras. Actually, I had a similar question as Jack. So thanks for answering that but I’d like to ask a question about the lenses too. Which lens do you think is better to get? 18-55 VR AF-P or Nikon AF-S DX NIKKOR 18-140mm f/3.5-5.6G VR? Considering the price, of course, there are very different combinations of the camera with different lenses … Like should I take a simpler camera, for example Nikon D3400 (D3300) and a better lens, or should I consider getting a better camera like D5300 with the kit lens 18-55 AF-P? Without doubt, between those two lenses, the Nikon AF-S DX NIKKOR 18-140mm f/3.5-5.6G VR will be a better choice. It’s just much more universal. Both D3300 and D5300 I put in my list of the best Nikon SLR cameras for beginners in 2018. It seems that the price tag might be a concern for you, so if I were in your shoes, I’d get Nikon D3300 and use whatever savings you have towards a better lens. Besides, in D3300 the Guide Mode is implemented, which is basically an interactive guide to action. It itself will explain which settings you need to apply for a particular image scene and helps install them with its understandable graphical interface. I’m planning to buy a camera and I just can’t decide which one to get. Canon Sony and Nicon are also my top brand of cameras and I’m not thinking about buying a different one. Canon EOS REBEL T5 looks promising!! I think I will get one of them!! I’m looking mainly for video quality though. Can you advise it for an amateur video shooter!? Yes, Canon T5 shoots decent videos (but make sure to use manual focus when video-shooting). Another thing that it’s not gonna be 4k (a lot of people are obsessed about camera having this feature). Also it depends if you want to video-shoot as in doing vlogging stuff or actual film-making (mini-movies). Overall, if you are going to focus on video, consider Canon cameras. This is one of the few things that Canon beats Nikon is the video capabilities. If you go to Vimeo platform you will see that almost all best videos were filmed with Canon cameras. I mean Nikon is beginning to gain popularity with 1080p video and a good autofocus system in their latest models, but it still falls far behind Canon in this aspect. Also, Canon DSLR offer a high frame rate which is rather important in video shooting. Hi Zarina! For the past 2 months I have been trying to understand the photography terminology and still it’s a dark forest for me. I am writing to you in the hopes that you could help. I need a camera with a good image and the most important the one that won’t produce a vague/blurry photo in the movement, because the camera that I will purchase is to capture the childhood years of my son’s life. And he is still small to look at the subject in anticipation of being photographed. Hi Leon, unfortunately I can’t give a detailed lecture within just one comment. I have a few tips on building photography skills, but no articles yet that are directed at complete beginners. I might ask one of my team members to create an article though. Based on experience, I will say that any SLR camera with a standard lens will help you. Such cameras work fast enough, their focusing is fairly reliable, and in general the success in photography will depend on your reaction rather than on the technology. Another point is that the shooting is not limited to the camera body. On the technical side, there is still a camera lens and lighting that’s needed, and from the creative side, the choice of the plot/scene. All this requires experience and preparation, which are acquired over time. Only few people immediately know how to shoot, one of these people is Alain Laboile. But don’t despair – your task is to capture the moments in a context that is understandable to YOU. If it turns out to be done beautifully – great, and if it does not work out – it’s fine too. Lastly, decide on the budget, buy a camera, and start shooting in any way that you can. Practice is crucial in becoming a better photographer. And if you specify your budget, I might able to help you out. I’m really glad I bumped in to this awesome article! Clearly a lot of cameras to choose from! There’s a point-and-shoot which is perfect for most travels, especially if you prefer a camera that you can just easily put inside your pocket, and just grab when it is the occasion for a picture. A DSLR – one most professional photographers prefer as a point-and-shoot camera may not be enough, and the photos taken needs to be perfect. Not to mention, DSLR can take 4k or 8k videos nowadays. But having so many to choose from, how would anybody find THE ONE camera they need? Well, it really depends on the preference of the shooter, but I can share you this. Each camera, most especially each brands give out different end results in terms of photo and video quality. Nikon takes awe-inspiring still images, with vibrant color. While, Canon pride themselves for their vivid videos and frankly more preferred by most of the photographer friends I’ve known being in this industry. But if you want something that is as good in both still and moving images, Sony might be your camera. Sony is quite good at low lighting shoots and is very capable of 4k and 8k videos. I hope this adds up value to your post, I really love it. Thank you for such a wonderful comment. What can I say here, I agree with all your points! As for the Sony – just recently I created a post on cameras that are best for hybrid shooters, and one of my fav cameras that I mentioned was a7R III. I mean it’s a brilliant camera. (Though for old-school photographers, I suggested the Nikon D850). Thank you for sharing your thoughts on the digital cameras! I love vlogging, and I usually make use of my iphone 7, but I would like to start using a camcorder or a digital camera now. I’m looking for one that is reliable and produces quality hd videos and in the $300 – $400 price range. I’m using it mainly for personal every day vlogs and would occasionally upload on youtube or my blog, what would you recommend? Thank you. P.S. Also for any of your recommendations, would it also be able to take good pictures? I’m sure you’ll love the options I provided in those posts. Let me know if you have any further questions!